Gradual typing enables both static and dynamic typing in the same program and makes it convenient to migrate code regions between the two typing disciplines. One goal of gradual typing is to provide all the benefits of static typing, such as efficiency, in statically-typed regions. However, this goal is elusive: the standard approach to mutable references imposes run-time overhead in statically-typed regions and alternative approaches are too conservative, either statically or at run-time. 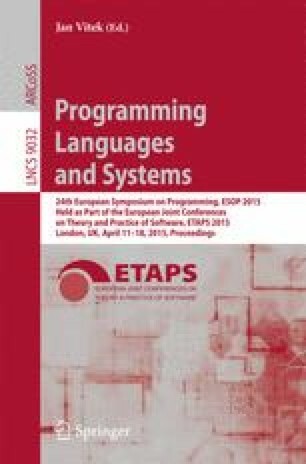 In this paper we present a new semantics called monotonic references which imposes none of the run-time overhead of dynamic typing in statically typed regions. With this design, casting a reference may cause a heap cell to become more statically typed (but not less). Retaining type safety is challenging with strong updates to the heap. Nevertheless, we have a mechanized proof of type safety. Further, we present blame tracking for monotonic references and prove a blame theorem.